The MET Gala was a glorious affair, full of pretty people in fancy gowns, walking in a straight line down a red carpet. But our fave part is what happened when they stepped OFF the carpet (aka the stuff you maybe DIDN’T see). Like Alicia Vikander doing whatever this is and literally looking flawless. This glorious photo of Kendall Jenner and Lena Dunham. Tom Hiddleston and Taylor Swift DANCING TOGETHER OH MY GOOD LORD. Amy Schumer riding to the ball IN A PARTY BUS. Bella Hadid and her boyfriend The Weeknd being super cute on the way to the after party. Karlie Kloss literally cutting her dress off to turn it into a mini. Your best friends Amy and Mindy looking gorgeous. Kim Kardashian licking her husband Kanye West. Kendall Jenner and Gigi Hadid literally slaying us with their cheek bones. #GigiHadid and #KendallJenner at the #MetGala2016. Madonna serving up EVERYTHING in that dance box. 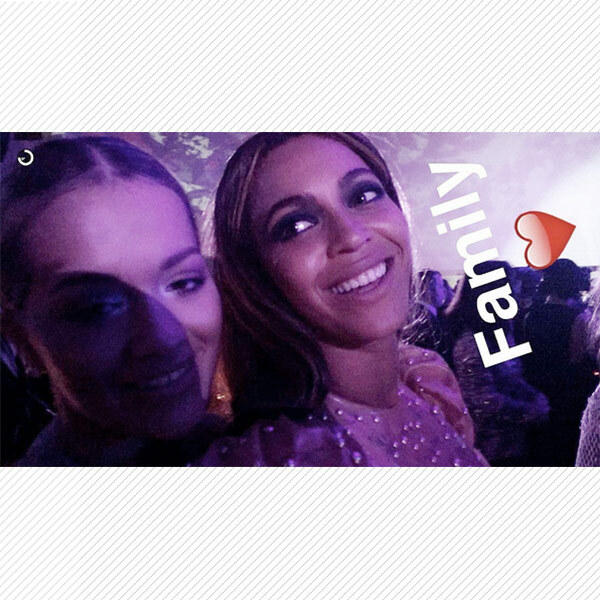 Beyoncé and Rita Ora putting any “Becky” rumors to rest with this “Family” photo. The actresses, Emma Stone and Brie Larson. Who knew they were friends?! And Kristen Stewart got ready in a moto jacket like a damn KWEEN!